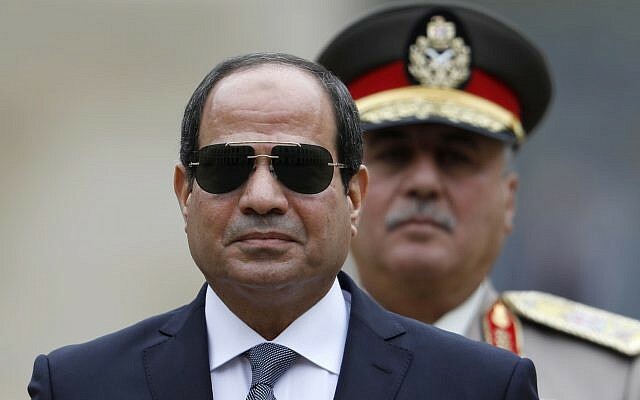 Egyptian President Abdel-Fattah el-Sissi, for the second time in as many days, delivered on Saturday a stern warning to Ethiopia over a dam it is building after the two countries along with Sudan failed to approve a study on its potential effects. Ethiopia is finalizing construction of the Grand Ethiopian Renaissance Dam, its first major dam on the Blue Nile, and will eventually start filling the giant reservoir behind it to power the Africa’s largest hydroelectric dam. Egypt fears that will cut into its water supply, destroying parts of its precious farmland and squeezing its population of 94 million people, who already face water shortages. Dam construction on international rivers often causes disputes over the downstream impact. Cairo said last week that the three countries had failed to approve an initial study by a consultancy firm on the dam’s potential effects on Egypt and Sudan. Ethiopia says the dam is essential to its development and has repeatedly sought to reassure Egypt. But Cairo’s efforts to persuade Addis Ababa to engage in closer coordination over the dam appear to have made little headway. “No one can touch Egypt’s share of water,” he said. The Nile provides over 90 percent of Egypt’s water supply. It already receives the lion’s share of Nile waters — more than 55 billion of the around 88 billion cubic meters of water that flow down the river each year. El-Sissi used a news conference at the Red Sea resort of Sharm el-Sheikh on Nov. 8 to deliver the same message to Ethiopia. The Egyptian leader did not say how Egypt intended to proceed. The government has publicly ruled out military action, but top Egyptian officials have in recent months been sharpening their rhetoric on Ethiopia. El-Sissi has sought to foster better ties with sub-Saharan Africa, especially fellow Nile basin countries, insisting that while his country needs its full share of the river’s waters, it is ready to help them with their economic development.